The purpose for developing this item is to let mother have a better condition to take care her baby. 1. It can keep alert mother to feed her baby in a fixed time and can be set by light instead of alarm when it worry the sound of alarm make baby awake. 2. It used as a weak light torch which can let mother to check the baby¡¦s situation. 3. It also has a temperature and humidity alert function which can tell mother what is the best temperature and humidity for her baby. 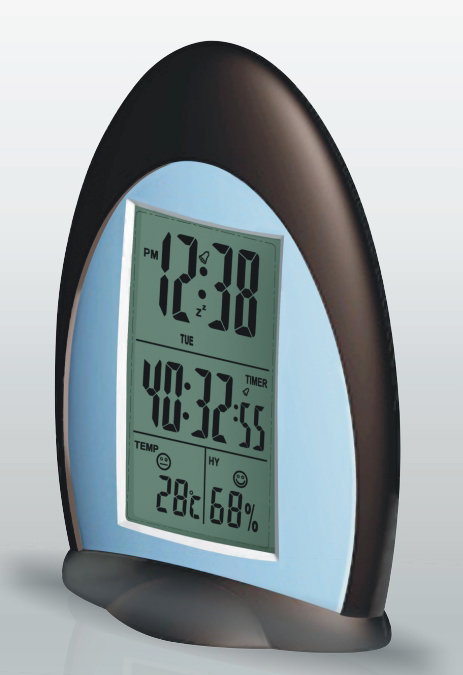 - Countdown timer: It can be set as time of feeding or take medicine. Besides, there are 8 groups of countdown timer enquiry. - Design the alarm with turn on the light or Bi Bi sound or turn on the light and alarm for both cases. - We have temperature and humidity function. There are three emoticons to tell you when is the best temperature and humidity. Make sure your wife, sons and daughter has the best room temperature livelihood. - Some of the model has the LED torch function. Make sure under not turn on the light and not awake to the baby situation, check your baby and feeding to him.